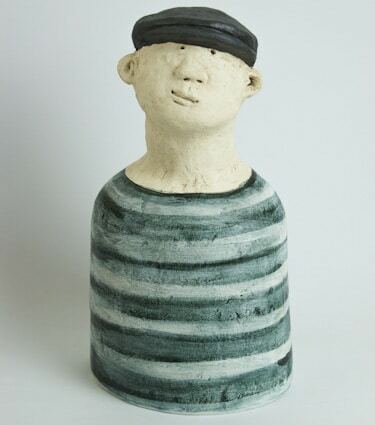 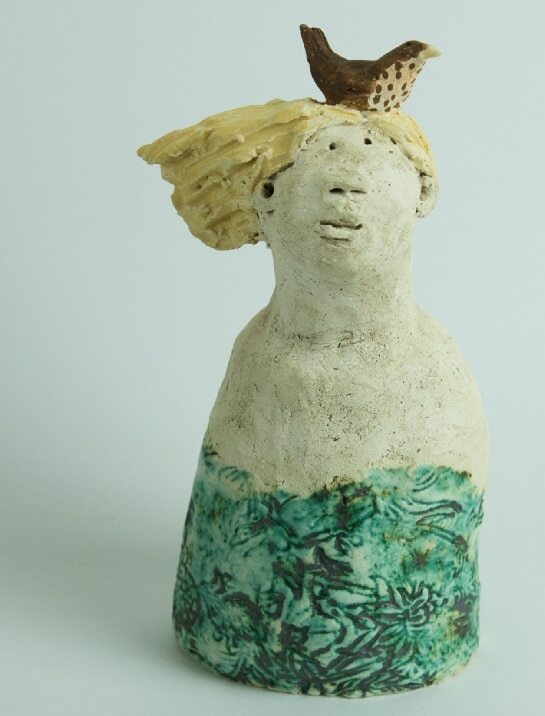 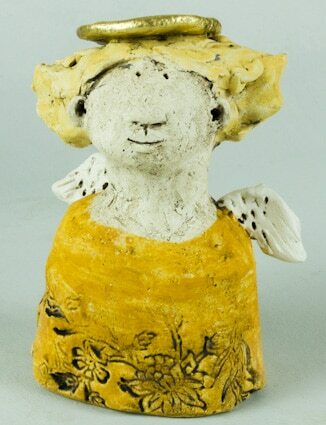 Working mainly with stoneware clay and using oxides to colour, Vicki creates beautifully sculpted ceramic pieces which will bring a smile to your face. 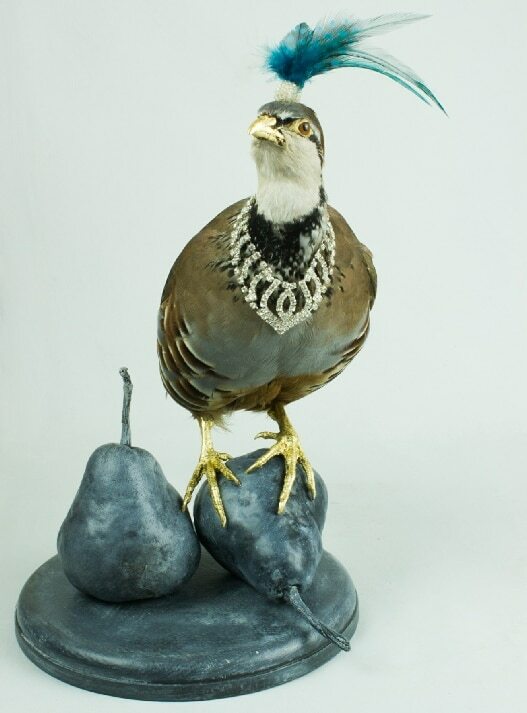 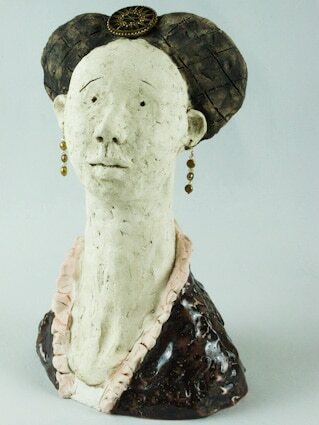 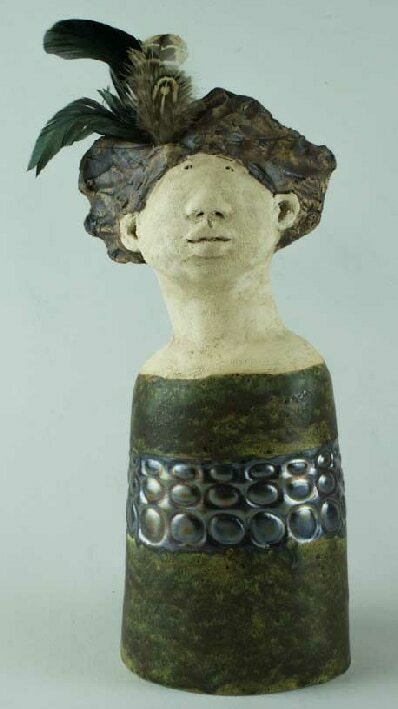 At first, her work appears whimsical and light hearted but with closer inspection you find that a resonance of serenity, poise and expression exude from the sculptures. 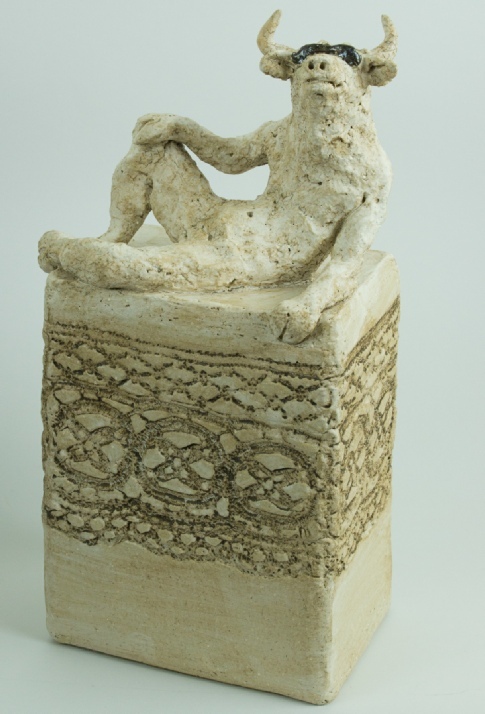 Her work has a simple honesty which she attributes to everyday observations of human nature, along with a fascination for Greek mythology. 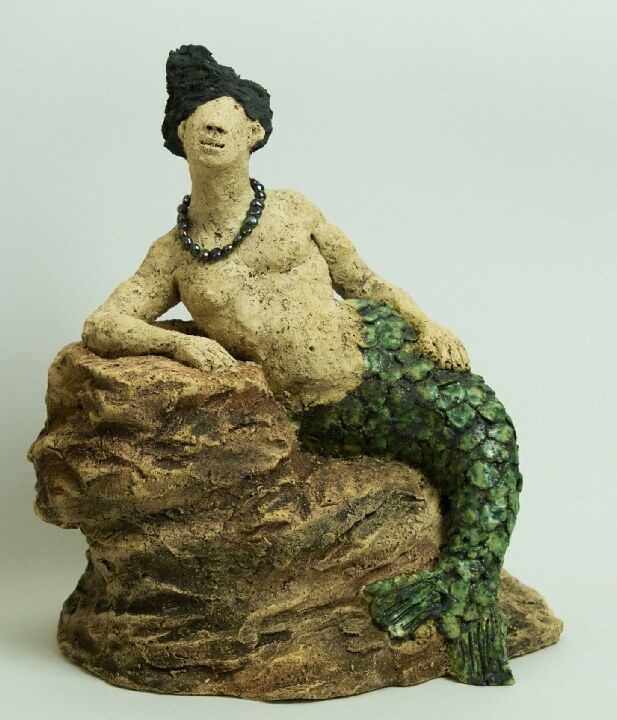 Vicki took her sculpture degree at City and Guilds of London Art School in the late 1980s where the emphasis was on a classical training in life drawing and sculpture. 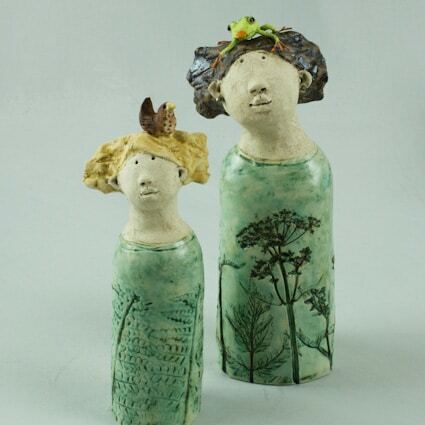 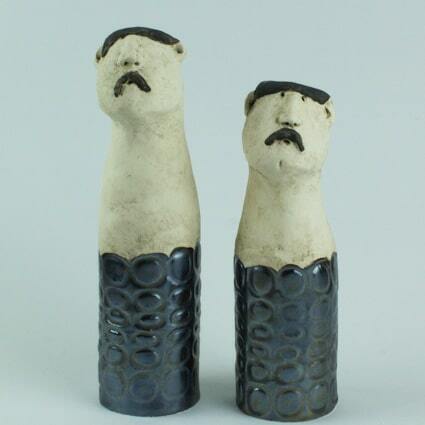 Her work has evolved to take on a lighter, more quirky style which very much reflects her own personality.